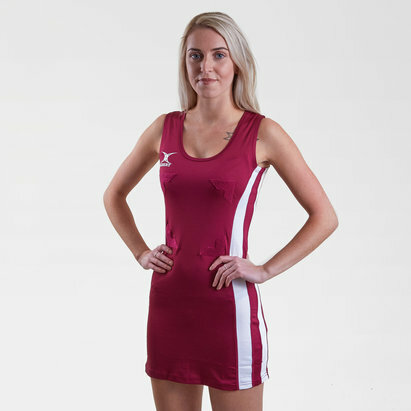 Show that you mean business on the court in this Gilbert Eclipse II Netball Dress in a Red and White colourway. This classic Eclipse dress offers great all-around performance. Mesh panels for ventilation and flattering shaped contrast panels for a slimmer appearance. Hook and loop attachments front and back for patch bib with court position.